Applicances Reviews: JML Nutri Blitzer Blender - Buy Or Not? Compact smoothie blenders have become a kitchen staple. However, while many linger around the 600W mark, the Ninja Nutri comes packing a mighty 900W motor in its modest base. It’s also available in a 1,000W model. Capable of blending at a dizzying 21,000rpm, nothing escapes its Pro Extractor blades – all six of them – with chunky root vegetables, seeds, ice and fruit crushed in seconds. As well as smoothies, its recipe book has ideas for desserts, soups, dips, dressings, marinades, meals and batter, so you&apos;ll get plenty of use from it. 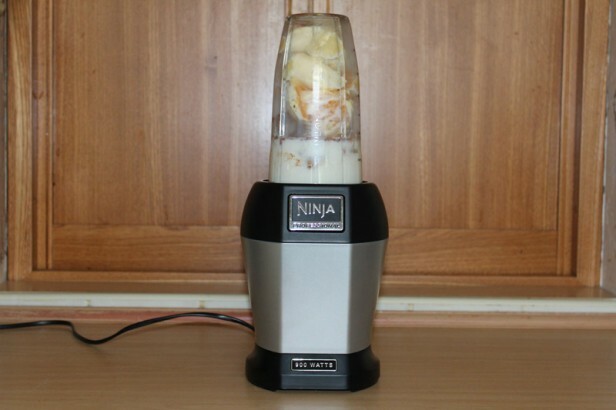 It may not be the smallest unit on the market, but the Nutri Ninja Pro blender is still fairly dinky, easily storing away in a cupboard or on the worktop. Its power base is finished in silver and black, in a chunky design that gives the impression of durability. Two BPA-free cups – one 650ml and another 500ml, which is bigger than some secondary cups that come with similar models – are accompanied by a Pro Extractor attachment consisting of four large angled blades projecting outwards and two small central blades that project upwards. The blade screws into the cups once they’re filled. There are no speed options – the inverted cup and blades twist and lock into the base and require a firm press down on top of the cup to blend. The instructions suggest using a pulse motion to get the best results, which will require several presses and releases of the cup. After blending, each cup can be topped with a screw-on flip-top lid for smoothies on the go. 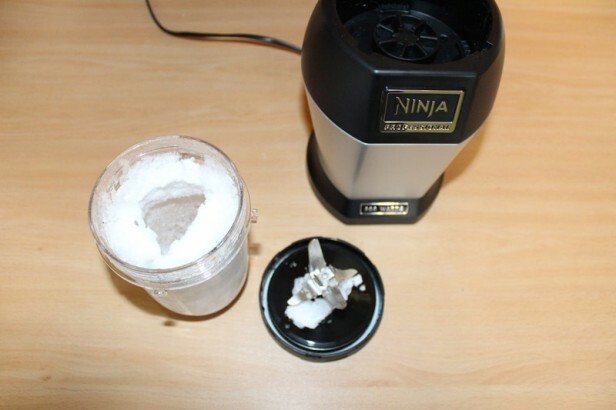 NUTRI NINJA PRO BLENDER BL450 – WHAT&apos;S IT LIKE TO USE? With no buttons to fiddle with or speeds to select, getting started with the Nutri Ninja Pro blender is as straightforward as filling the cup, screwing the blade attachment into place and blitzing. I started by making a "Top o’ the Morning" smoothie: a combination of banana, orange, almond milk, cinnamon, protein powder and ice. All the recipes require that the ingredients are added in a specific order. I layered the fruit and milk as requesetd, and screwed on the blades. The mixture needed some tamping down to fit in the blades, since adding ice bulked out the contents. However, once they were in place, I was ready to start. Fitting the cup into the base is simple – it drops on then twists to lock. However, it took practice to resist the temptation to push down as I was doing so; otherwise, the Ninja would start blending. It took only a few pulses for the mixture to be blended. The resulting smoothie was chilled, refreshing and lump-free. Next, I tried making the batter for Buckwheat Pancakes using plain and buckwheat flour, baking powder, an egg, oil, honey and milk. This required a longer series of pulses to incorporate all the flour. Once all traces had disappeared, we removed the Ninja Pro blender from the base unit. Unscrewing the blades triggered a small release of pressure, causing batter to splash out, so it may be an idea to undo the attachment slowly when blending thicker mixtures. Moving onto the recipe idea for burgers, into the cup I placed a small amount of diced beef, with a little onion and seasoning, and finally added the blade attachment. The recipe called for 15 seconds of blitzing, but I found that it took longer: the minced meat tended to adhere around the blades, preventing the diced meat from reaching them. Removing the cup and redistributing the meat a couple of times solved the problem, and soon I was left with thoroughly ground beef that could be shaped into patties. 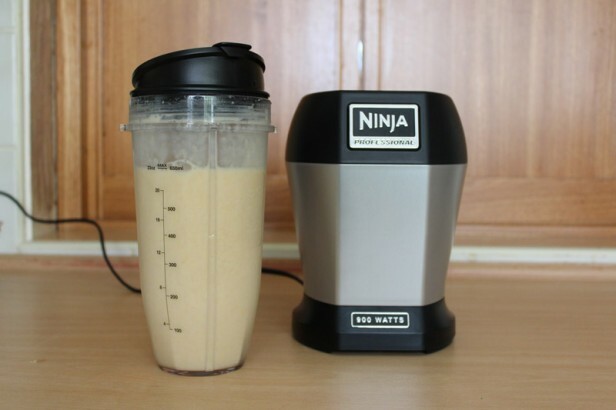 Keen to see how the Ninja Pro would fare with root vegetables, I tried a carrot and tofu-based smoothie. The chunks of raw carrot didn’t phase the blender at all and the result after a few pulses was a silky smooth, creamy orange-coloured drink. We finished by using the smaller cup to crush ice on its own. While noisy, the even, fluffy snow it produced was ideal for creating a variety of drinks. Washing the Nutri Ninja Pro blender was easy – all the parts are dishwasher safe and can be washed by hand, although reaching every part of the blades, especially the smaller central ones, requires care. 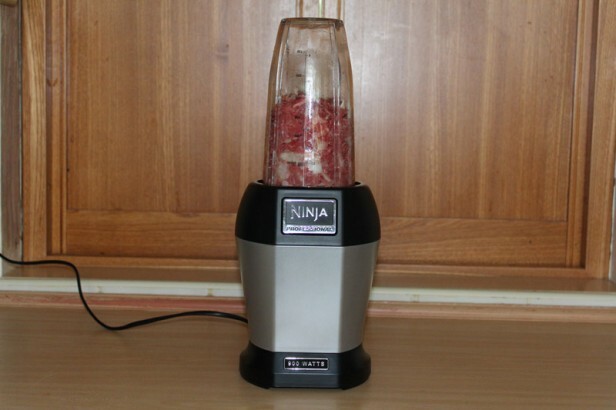 SHOULD I BUY THE NUTRI NINJA PRO BLENDER BL450? If you’re after a smoothie maker that offers a bit more versatility then this is the compact blender for you. It’s incredibly powerful for its size, with its multi-bladed attachment slices through ice with ease. Similarly, if you’ve previously found the size of other blending cups limiting, you’ll love the generous capacity of those included with the Nutri Ninja Pro. My only slight gripe is that you have to push down to blend, rather than just walk away and leave it running – it’d be great if it gave the option between pulsing and constant motion. As good for the smoothie addict as it is for those on a health kick, the Nutri Ninja Pro is a smart small appliance with plenty of tricks up its sleeve.